On Tuesday morning, Ed Tech hosted another parent workshop in our Family Tech Agreements series. 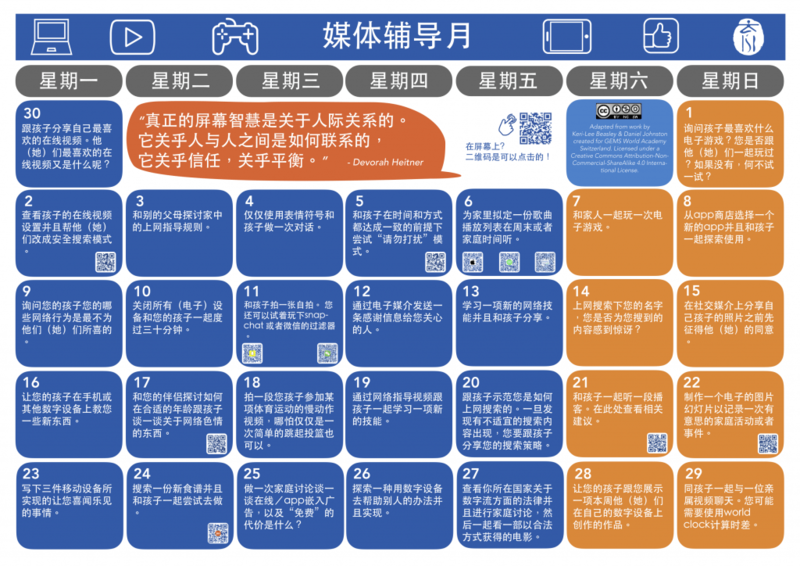 This time we looked at the unique challenges and opportunities of media and technology use by our students during the Summer holidays. 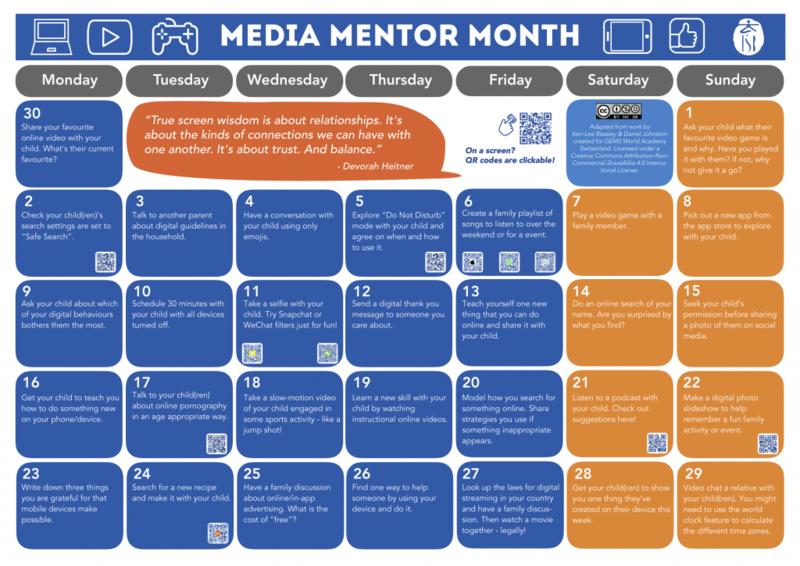 We began by revisiting aspects of the previous parent workshop, such as how to work with your children to create a Family Media Agreement, and ISB’s Media Mentor Month. Family Media Agreements have become a favourite model for parents looking to develop a media mentor model at home. Having open discussion around technology use as a family allows each member a chance to reflect on their own habits and what they hope to see from one another. Workshop attendees were invited to use the ISB Family Tech Agreements worksheets, or, create their own, in ways that best suited their particular circumstances as a family. How may your family media agreement need to change to suit the different context of Summer Break? Next, we explored some different media/technology tools that may be of interest to your child that focus on creation over consumption. In most cases, the media and technology is actually a conduit for a hands-on activity. DIY is a safe online community for kids to discover new passions, level up their skills, and meet likeminded people. There are thousands of activities and projects available, and users can unlock many different “patches” (badges) as a reward for their efforts. Instructables is similar to DIY and the premise is that users are encouraged to develop instructional resources for the online community. Users can explore many different projects, from technology and electronics, to woodworking, cooking, gardening and sports. As many instructables projects are a bit more advanced than DIY, it can be a great way for parents to work with their children. The email newsletter includes wide-ranging projects as well as regular challenges and competitions. 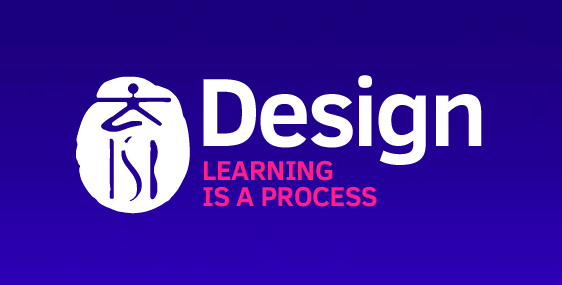 TED-Ed is the educational spin-off of TED (Technology, Education & Design). There are thousands of short videos on all sorts of topics, created by lots of different people. A particular highlight are the different problem solving riddles which can be a great way to get families having fun together. Each family is different and as such needs to shape media and technology use in ways that suit them. We strongly recommend developing a media agreement, as well as exploring constructive and creative tools such as those shown above. We wish you a safe and relaxing Summer Break and please be in touch if you ever need any support or advice.